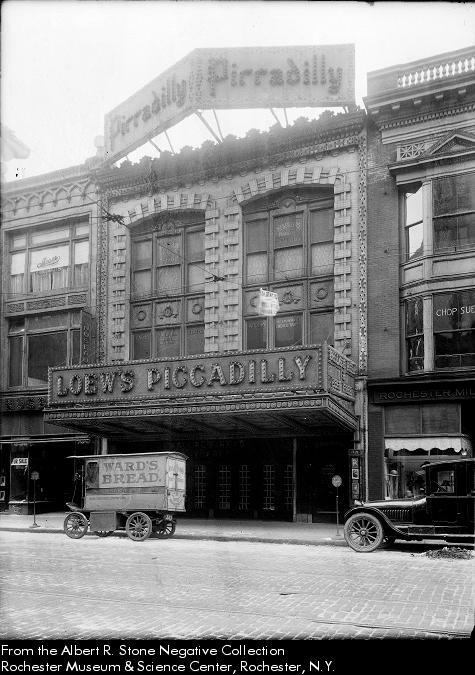 Loew’s Theatre, 120 South Clinton Avenue, on the east side of the street north of Court Street. A car parking lot is next to the theater. May 5, 1941. According to CinemaTreasures.org the theater opened in 1927 as part of the Schine’s chain, but soon became part of the Loew’s Inc. empire. Ticket Booth in outer Lobby. This and all photos below are from 1940. Not sure what this was (above). Anybody? 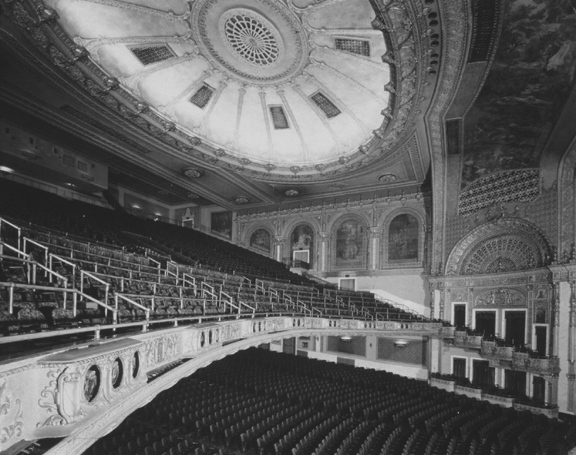 With over 3,500 seats it was advertised as the largest theater in America between New York and Chicago. The auditorium featured bronze light fixtures, murals, leather upholstery for the box seats, and an enormous Marr & Colton organ. 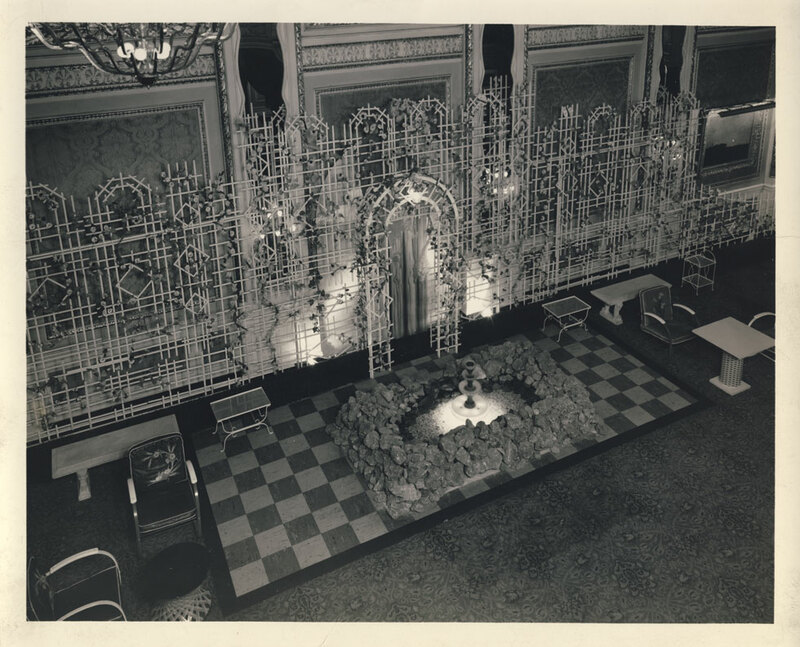 The Loew’s Theater was to be renovated as part of a downtown redevelopment, but a local firm bought it and demolished it in 1964 to make way for the new Xerox headquarters. Oh movie palace gods… can we PLEASE have just ONE of these back!?! 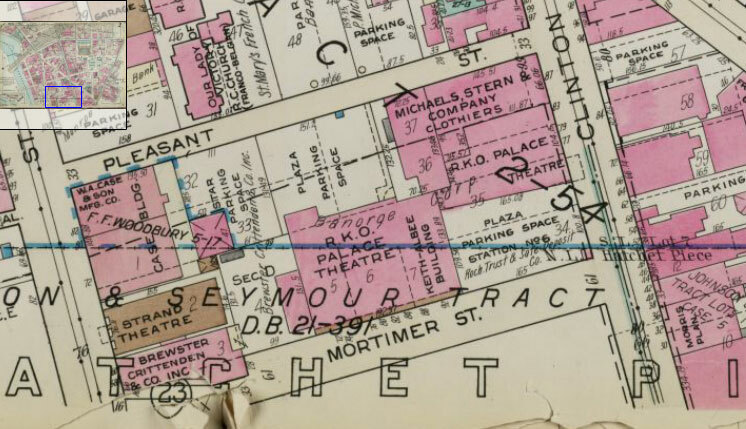 For anyone interested in pinpointing the exact location, here’s the 1935 plat map . 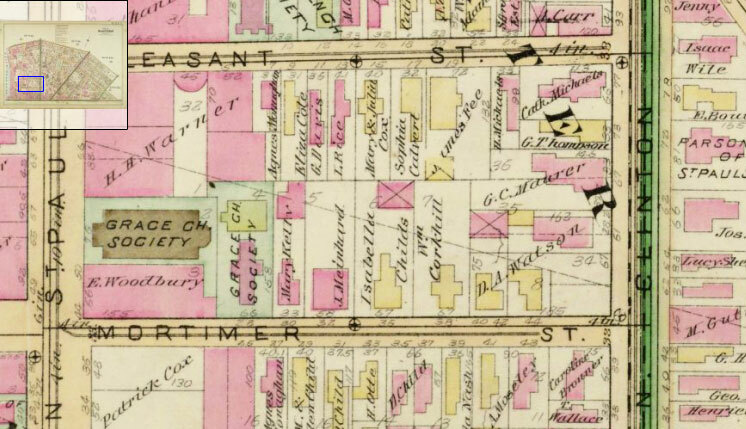 Zoom in to the northeast corner of Court St. and Clinton, across from Washington Square Park. 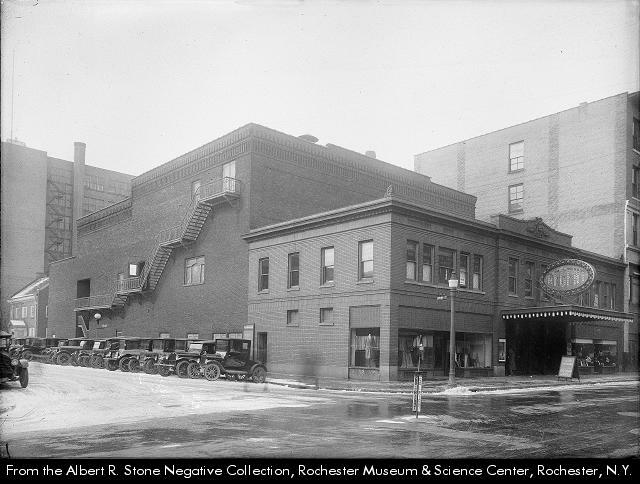 This entry was posted on Thursday, October 11th, 2012 at 8:19 am	and is filed under Rochester History, Rochester Images. You can follow any responses to this entry through the RSS 2.0 feed. You can skip to the end and leave a response. Pinging is currently not allowed. Just another example of public architecture that uplifed and enobled the soul of the “common man” in stark contrast with today’s non-architecture that crushes the soul and reminds us that we are more ordinary than we care to admit. There are some good aerial shots of the place on the city’s Midtown historical photo collection. 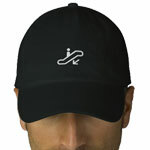 Here it is front and center! @yugo42, that is a really great aerial shot. You can see how the lobby was situated in relation to the auditorium and it looks like storefronts wrapped all the way around the Clinton & Court St sides. Such a great use of urban space! And then note all the parking lots closing in on it from all sides. In the background you can even see the land that was cleared for the construction of the Inner Loop. It was all downhill from that point on. Thanks for sharing! Oh yeah, I hadn’t noticed the Inner Loop wasteland back there! The other interesting thing you can see (relating to one of your earlier posts) on the left side is the Seneca Hotel and it’s tall tower addition mixed among the buildings that were incorporated into Midtown. Yes! That’s the one. And there’s the big old (demolished) YMCA building in the upper right corner. @Joe, I couldn’t have said that better myself. Amen. Mike – great pics! I think the gods may have heard you because we do still have at least one stunning old movie house – Eastman Theatre. It was originally built as a movie palace. The renovation done a couple years ago really shows off the gorgeous detail that went into that place. I always sit in the balcony so i can stare at that crazy beautiful chandelier! BUT I WANT THESE ONES TOO! WAAAAH! Seriously though, you’re right Sally. Eastman Theater is a gem. And while we’re counting our blessings, Dryden Theater is probably my favorite place to take in a movie – anywhere. If you haven’t been I’d recommend checking out “Silent Tuesdays” this fall. As a 20-something in Rochester, I still love hearing my grandmas stories about “going to the show” and appreciate sites like this that keep the history alive. 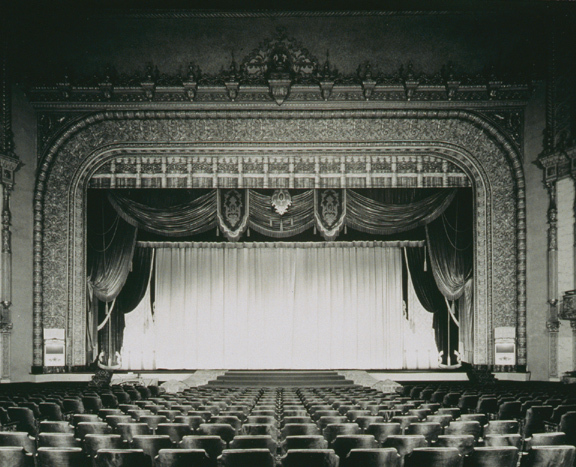 Wish we still had theatres like this today! 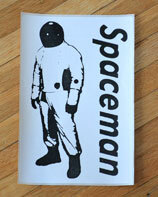 Does anyone know anything about the free gifts/collectible a that were given to movie-goers at that time? I have a collection of dishes from my grandma that she and her mother collected from each visit to a theatre in Rochester (not sure which one).. I’m trying to find out more about them. Any info is appreciated! To the left of that YMCA about a block is a small steeple (now Halo lofts). Directly behind that was ol’ Mrs. Begy’s prohibition saloon as it appears the Chestnut extension hadn’t annihilated Stillson Street yet. To answer “Dayna”, ‘back in the day’ it was common for the theaters to have a ‘dish night’ at least once a week where dishes and other things would be given away during the ‘show’. Her dishes could have come from any one of the major theaters. 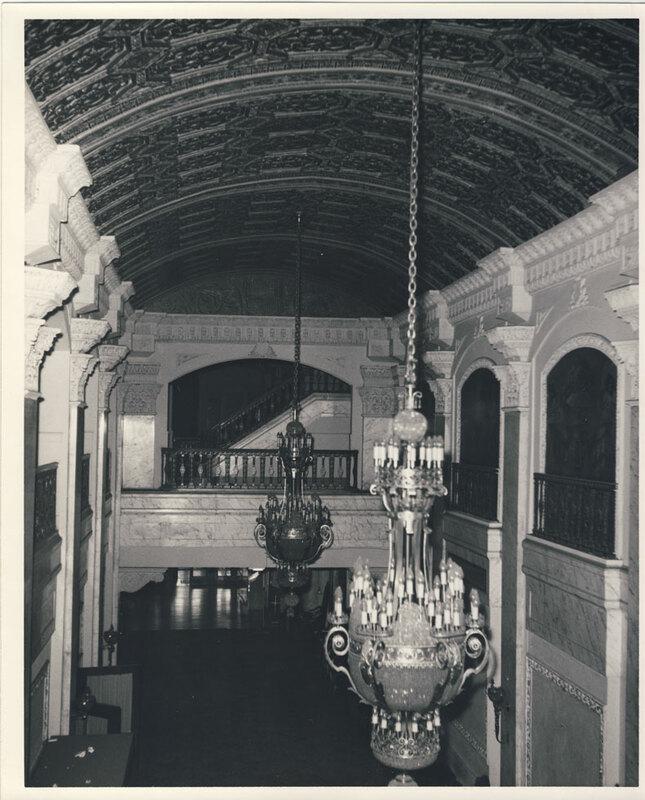 The Palace, Loew’s, etc were more than a place to view a movie. Talent shows were held at the Palace and were broadcast on local radio. For several years, Tom Grierson, the house organist at the Palace played the mighty Wurlitzer live on the radio every week. Stage acts were part of the theater-going experience from 1928 when the RKO Palace opened, pretty much up until WW2 began. Incidentally, contrary to what many believe, the organ at the RKO was never used to accompany silent films. 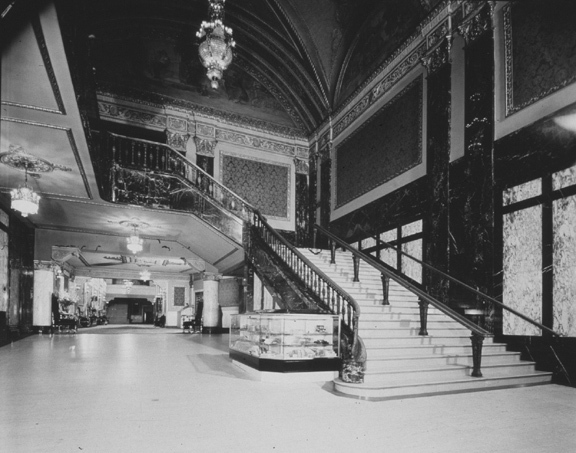 The Palace opened with talking movies and never showed silent features. The organ was used to accompany stage acts, to ‘play’ audiences in and out, play during intermissions and for ‘spotlight solos’. The movie palaces were the major entertainment venues for the general public before TV upset the applecart. For a time, my father, a very young announcer at WHAM, did the voiceovers for the *silent* newsreels at Loew’s. had a lot more gingerbread). 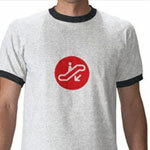 Anybody remember the Paramount or Regent? And let’s not forget those two dungeons, the RKO Temple and the Strand. I lived here in late 60 thru the Spring of 61 as an RIT student. 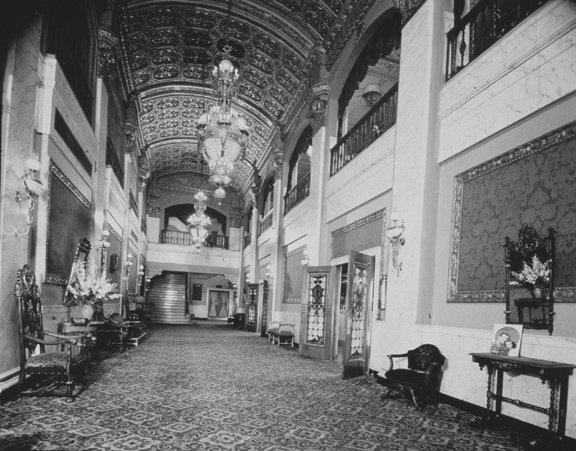 I attended only one movie at Loew’s (Liz Taylor in ‘Butterfield 8’) and recall my impression that while large, it was not as ‘inviting’ at the Palace. Others I have talked to seem to share that feeling. When I returned to Rochester in 1964 Xerox Square was under construction on the site. Having visited many Loew’s houses over the years I can attest that the Rochester was definitely not in the ‘deluxe’ category. 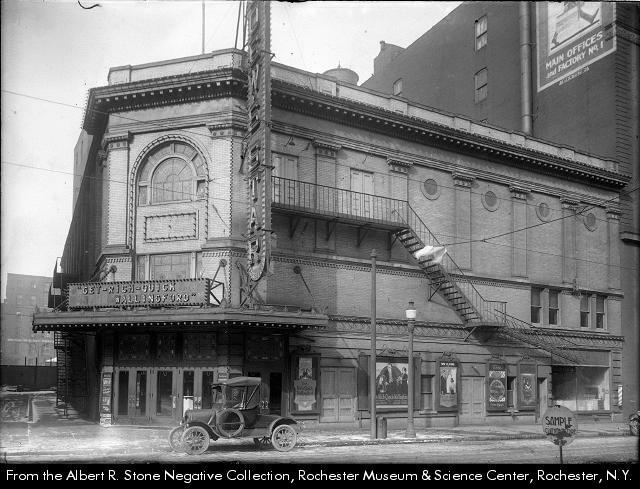 It was built by the Lafayette Theatre Corp of Buffalo and A.A. Fenevessey and opened as the “Rochester” pn Nov. 5th, 1927. 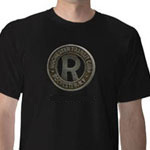 It became part of the “Loew’s” chain in 1934. 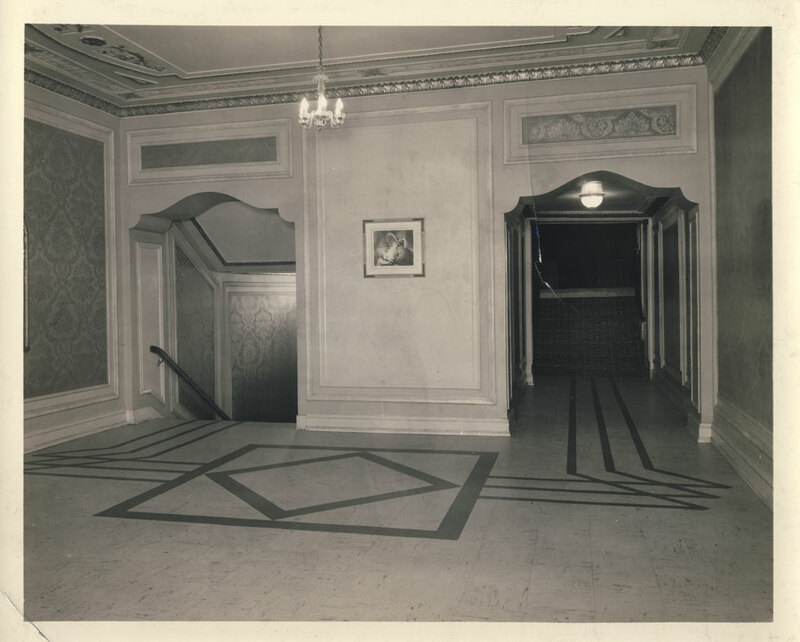 I visited the Paramount only a couple of times and recall that it was strangely laid out. 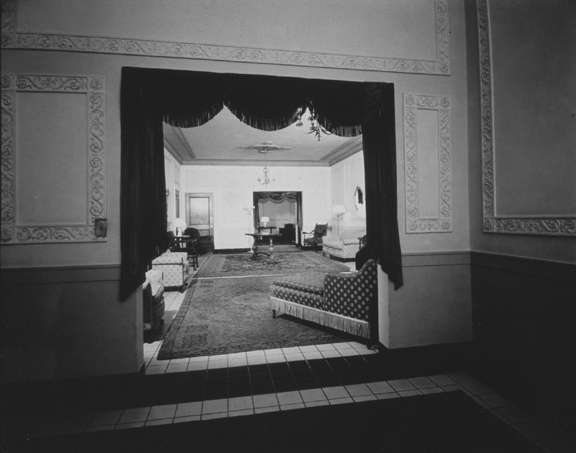 When enteringthrough the main Clinton Ave lobby one entered at the side of the auditorium with the seats facing to the left. It opened in 1915 as the Picadilly and had 2,250 seats. Around 1934 it was renamed the Century and became the Paramount on March 4, 1948. I led a crew that removed the Wurlitzer organ from the Regent Theater in 1973. That was an earlier house of 1800 seats, opening on Nov. 10th,1914. 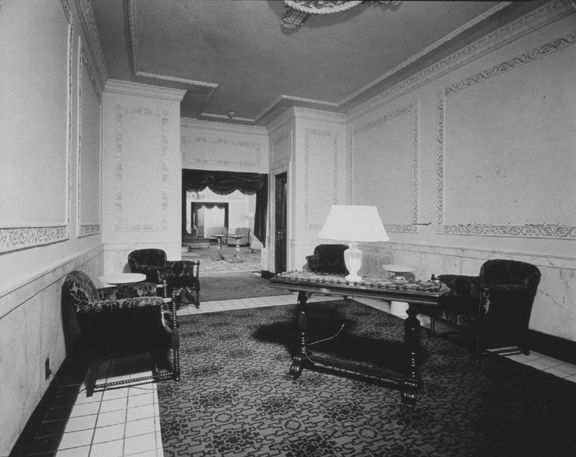 The interior was finished in rich Mahogany with side walls, proscenium , boxes and ceiling in old rose, old ivory and gold. At the end, I believe it had the interior painted in a very drab monotone with all of the original decorative detail being covered, although there was an interesting mural in the ceiling proscenium above the stage. A couple of interesting facts – it originally was wired for DC electricity. The original DC motors for the two organ blowers were still there when the building came down. It was originally coal heated. It had the filthiest organ chambers I have ever seen. @Russ, thanks for all the great information about these theaters. I can’t wait to hear that RKO Wurlitzer organ played on November 18 at the Auditorium! 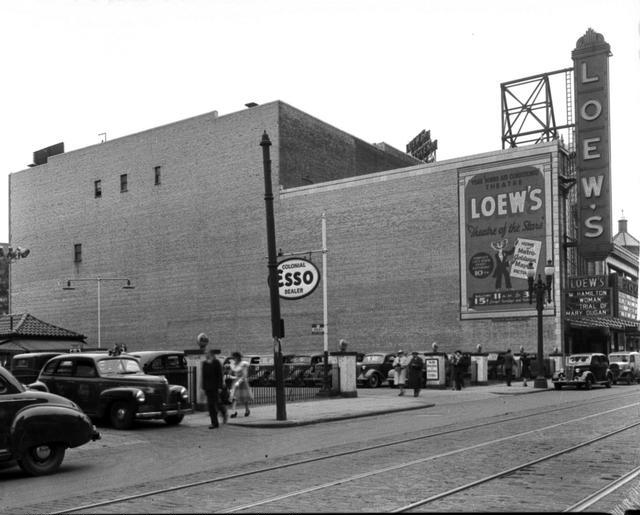 Now check this out, I also found this photo of Loews Star Theater (73 N. Clinton) which I believe would have been on very same site as the RKO Palace! You can see the painted billboard on the side of the Michaels Stern building in the background. 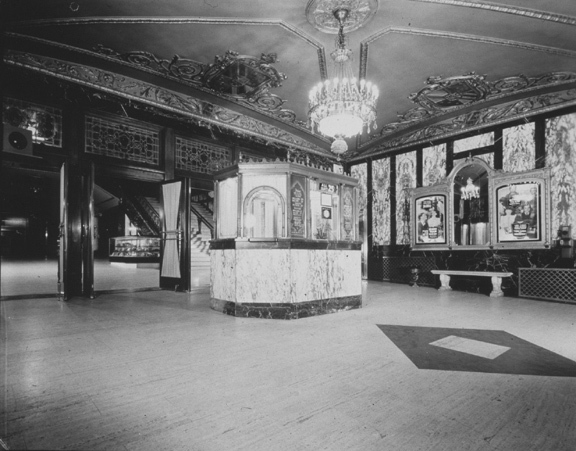 This theater was occupied by Gordon’s Photo Play House until 1920. 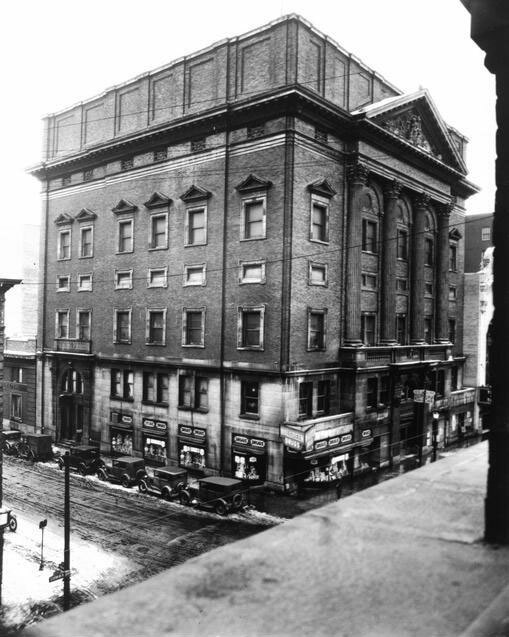 It housed Loew’s Star Theatre from 1920-1926, and was vacant by 1927-28. 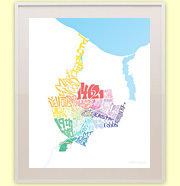 It would be interesting to see an area street map of downtown Rochester with all the locations of the theaters depicted, and perhaps train stations as well. I am familiar with the above photo of the Loew’s Star. 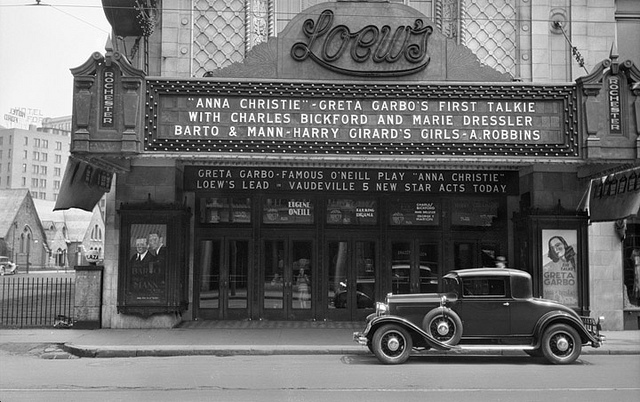 According to my sources, it opened in 1909 as “Gordon’s Photoplay House”, was renamed “Gordon’s Theatre” in 1917 and became “Loew’s Star” in 1920. I don’t know what the seating capacity was. The Albert Stone photo was taken in 1922. The building was razed in 1926. It housed a four-manual Moller organ (Opus 1493, ca. 1910) which was moved to the Monroe Avenue Methodist Church and was destroyed when the church burned down in the 1960s. As you can tell by the picture, it abutted the Michaels Stern building, ran along Clinton where the present 7 story building is today and the south end (where the angled entrance was) was approximately where the Clinton Avenue entrance lobby of the RKO Palace was located. 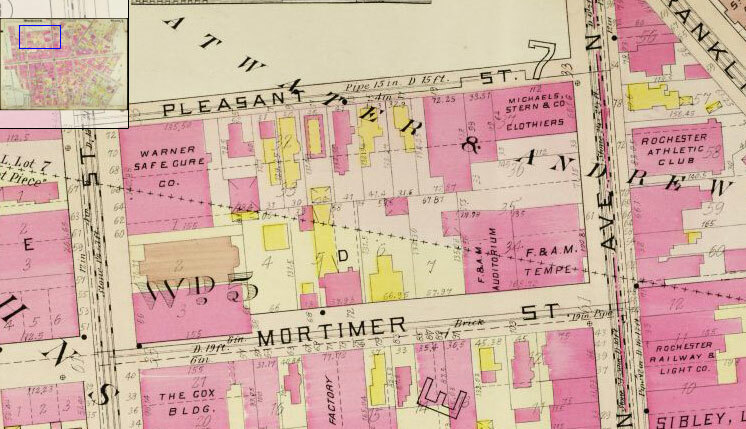 If you drive by the site today you will see the excavated basement of yet another building that ran south along clinton to the corner of Mortimer. Does anyone know what building that was and when it existed?? First, my family and I had a fantastic time at the R.T.O.S concert yesterday. That old RKO Palace Wurlitzer Organ has one hell of a set of pipes! What a great privilege it was to be able to share that experience with my kids. Thank you! 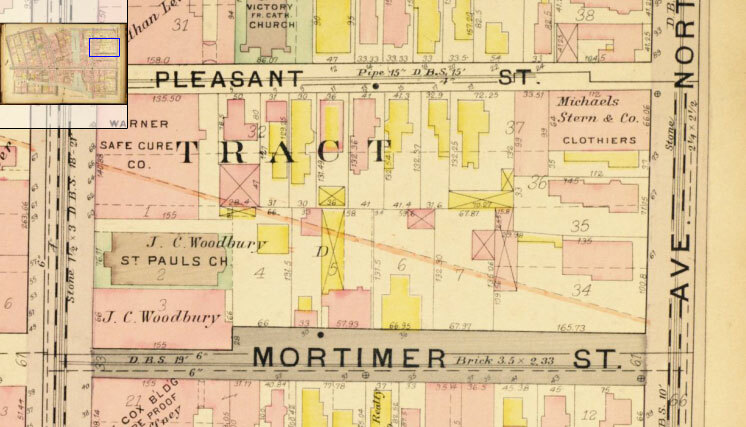 Now, here’s a look at the evolution of the corner of Clinton and Mortimer. You were right… it was a Masonic Temple! The temple was built in 1901-1902. In the photo above you can see the RKO Palace entrance sneaking into the right edge of the shot. Love those aerial photos of the Midtown area. No. 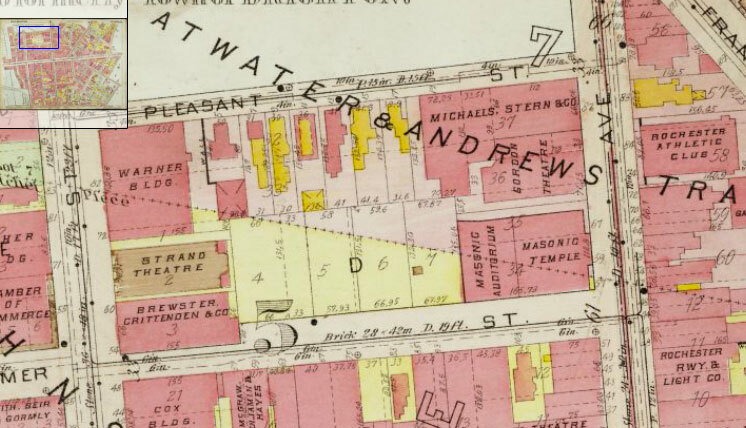 1 still shows Monroe Avenue running all the way to Washington Square Park at the lower right. Apropos of this once existent reality of the cityscape I wonder what people thought when they were watching such vast swaths of familiar urban streetscapes extinguished and changed forever. Another beautiful Theater we all enjoyed in our day. Outstanding like the Palace Theater. We didn’t have television back in those days so we didn’t miss that. But we had the joy of going downtown for a outing and seeing a great movie and after that went to one of our great restaurant to eat. My mother has the old loews theatre chairs. they were called the ugliest chairs but I thought they were beautiful. There is one showing in the picture in the main lobby. They are quite big. But fit in there home in Pittsford. We have the newspaper on these chairs. Very interesting especially for history. In the second photo from the top of the Loew’s palace (with the ESSO sign prominently visible in the center of the shot) at the very edge of the right side of the photo you can see the kinda funnel-shaped roof of Claude Bragdon’s First Universalist Church…why point that out? Because I can!